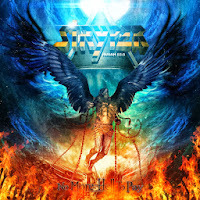 Rock & Metal 4 You: CD-Review: Stryper - "No More Hell To Pay"
After a cover album ("The Covering") in 2011 and a record, which consists only of re-recordings ("The Second Coming") earlier this year, the Christian Metal heroes Stryper are back with completely new song material since their 2009 output "Murder By Pride". I enjoyed this album very much, but their new effort "No More Hell To Pay" shows Stryper from a very different side. Stryper have always been a White Metal band, with a more catchy note in their songs. Especially on their latest releases Stryper added some poppier elements to their Melodic Metal sound. Forget about all that, because with "No More Hell To Pay" you'll get to hear Heavy Metal in its purest form. That means less melody and much more sharp guitar-riffs and tons of screams, which will leave your ears ringing. Sometimes I thought they want to go in competition to Judas Priest. With this record Stryper go back to their origin sound from 1986 when "To Hell With The Devil" hit the stores. I didn't expect such a radical change of style, so in the first moment I felt a bit uncomfortable with it. The album definitely needs some spins until you realize how good it is. Pounding Metal anthems like the title track "No More Hell To Pay", "Legacy", "Revelation", "Water Into Wine" and "Saved By Love" prove that Stryper recorded their heaviest album to date. I never heard Michael Sweet screaming like on "Saved By Love". This guy is in really good shape and makes a pretty good figure with his unique voice on all tracks. Also the instrumental fraction is beyond any doubt. They create this typical Band sound. Right from the first note, you realize this has to be Stryper. The production is also powerful and right in your face. Nearly every song on "No More Hell To Pay" is a neckbreaker, so Heavy Metal fans will be pleased with this album. The little problem is that all songs follow this darker mood and Stryper don't make use of different arrangements or something like that. All songs are still on a high level but I miss some variety and a real smash hit in the vein of "Peace Of Mind", "More Than A Man" or "Always There For You". So the songwriting is just solid on some tracks, what makes them special is the massive, aggressive presentation. 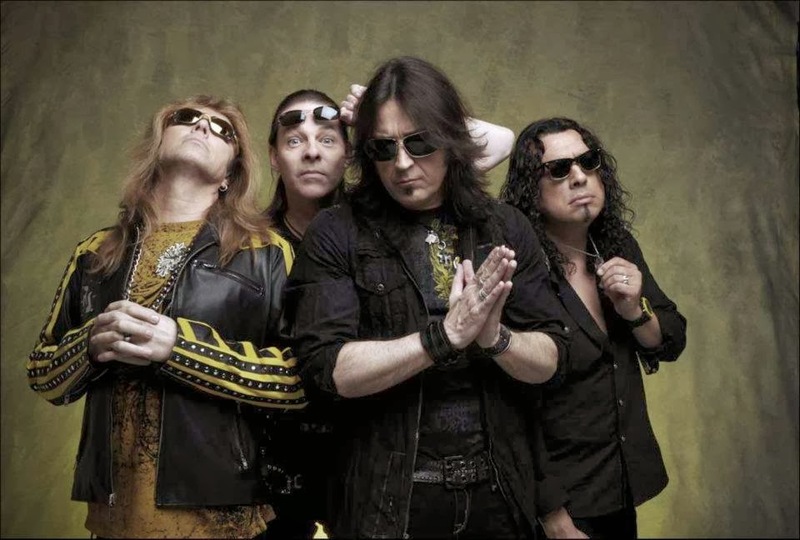 So, when it comes to my tastes in songwriting I still prefer the more melodic side of Stryper (the only tune which reminds me of their more melodic stuff is the amazing sing-along-track "Sticks & Bones"), but with their new album they have manged it to surprise me very much and their newfound heaviness fits very well. So, all Metalheads out there can buy this album blindly. Don't be put off by the Christian theme. Get ready for some punchy neckbreakers from start to finish and re-discover a band, which sounds more powerful than ever. Recommended!